GUIDED CHARTERS FOR UP TO 6 PEOPLE WITH CAPTAIN PEGGY! CRUISING THE RIVERS ON A 19' CAROLINA SKIFF ALLOWS CLOSEUP AND PERSONAL ENCOUNTERS WITH WILDLIFE. EASY ACCESS, BIMINI FOR SHADE, DIVE LADDER. 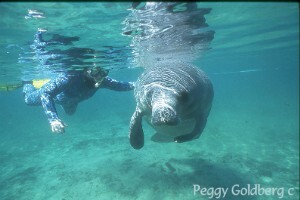 CAPTAIN PEGGY IS AN EXPERIENCED PHOTOGRAPHER AND DIVE GUIDE AND SHE KNOWS THE LOCAL WATERS INTIMATELY. TOURS DESIGNED TO SUIT YOUR NEEDS. 3-4 hour tours - $120 for 1-4 people, each additional person $30@ (up to 6 - includes taxes). For a preview of a typical Silver River Tour, click on this link to the article "A Day in the Life of the Silver River"
Full Day Charters - 6-10 hours - $500. Call 352-591-1508 to reserve your adventure! PHOTO TOURS - On the Silver, Oklawaha, Withlacoochee, Salt Springs and Rainbow Rivers, Cross Creek, Lake Lochloosa and Orange Lake. Bring your binoculars, and mask and snorkel, too! 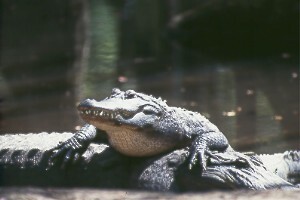 Florida has over 180 species of birds, many are rare and endangered, and a couple of hundred species that migrate through every year - Making Florida one of the richest birding areas in the U.S. Alligators and turtles are numerous, and monkeys can be sighted on the Silver and Oklawaha Rivers. This area of Florida also has numerous deer, turkey, wild hog and black bear - and even a few cougar sightings! 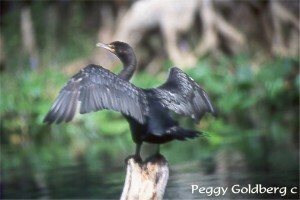 DIVE AND SNORKEL TOURS - On the Rainbow, Silver, Crystal and Homosassa Rivers. Guided dives at the local famous dive sites and springs in the area. Divers must bring their certification cards. 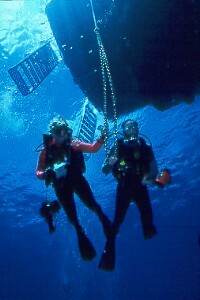 Divers provide own gear. For comfort and personal service, will only take up to 4 divers on the boat. ECO-TOURS - on all the above places, plus guided tours by canoe in areas not accessible by boat. If there are more than 2 people, extra canoes can be rented. Call for details. I do charters all year around…and each month and season has fresh surprises…. For the best manatee sightings, the cooler months from November to the end of February are best. For more active bird encounters, from February through December will yield more sightings. Alligators are out and more active during the warmer months, while May through July are their more active breeding and nesting activities. From November until February, the migratory birds arrive - with the Sandhill Cranes coming in great numbers. 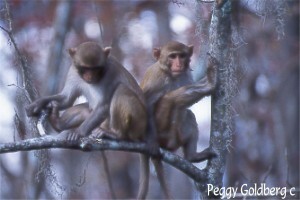 Monkey, deer, otter, turkeys, wild hogs and other wildlife can be sighted year around. April and October are our two best months for warm, but not hot temperatures, little rainfall and humidity. Underwater, in tidal rivers, such as the Crystal and Homosassa Rivers, salt water species of fish and dolphins frequent the river, along with the manatee. During the winter months, the numbers of snook, jacks, catfish and sheepshead are extraordinary. In the clear waters of the Rainbow and the Silver Rivers, bass, bream, mullet, turtles, and gar are there for your photographic pleasure. Alligators live in every body of water in Florida, but the best photographic opportunity for close-ups would be the Silver River. I am still trying to get a good underwater alligator shot, but because of the clear waters, they see us coming and are gone before we can get them in our viewfinder. Strangely enough, I have underwater photos of the more dangerous cousin, the saltwater crocodile of southern Florida!! So, come with me and design your own adventure tour to suit your tastes. Bring plenty of film or memory cards with your camera, and don't forget your mask, fins and snorkel!